May 31, 2011: IAU Central Bureau for Astronomical Telegrams Electronic Telegram CBET 2731 (Daniel W. E. Green, ed.) announces the discovery by K. Itagaki, Yamagata, Japan, of a dwarf nova in Pegasus (reported by H. Yamaoka, Kyushu University, Japan) on 2011 May 24.672 UT at unfiltered CCD magnitude ~11.5. Spectroscopy by Akira Arai, Koyama Astronomical Observatory, Kyoto Sangyo University, Japan, on 2011 May 25.67 UT, and by D. D. Balam, Dominion Astrophysical Observatory, National Research Council of Canada, M. L. Graham, Las Cumbres Observatory Global Telescope, University of California at Santa Barbara, E. Y. Hsiao, Lawrence Berkeley Laboratory, and D. W. E. Green, Harvard University, on 2011 May 29.42 UT indicates the object is likely a dwarf nova. The amplitude (unfiltered CCD ~11.5 - possibly red mag 18.8) suggests the object may be a WZ Sge-type variable. 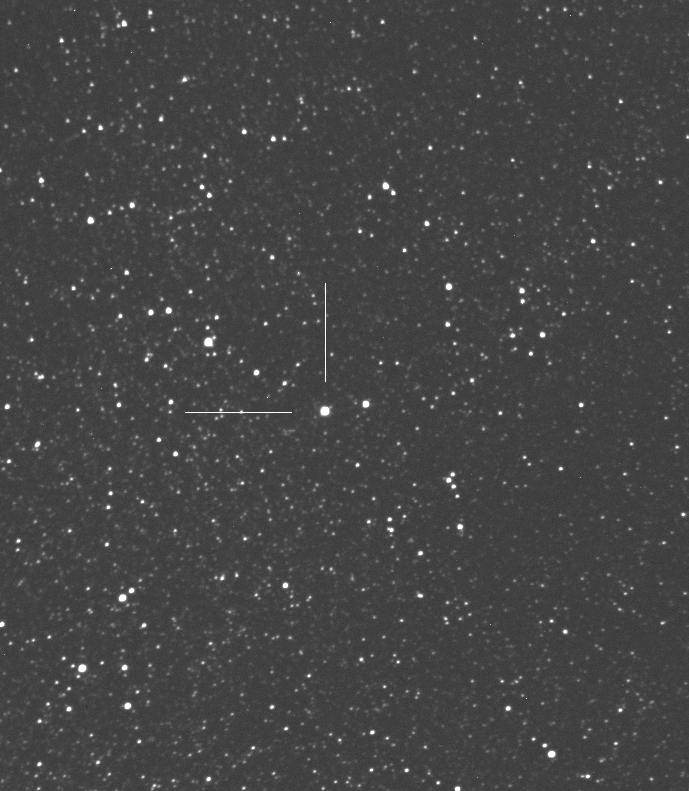 Itagaki/Yamaoka note that a faint star (mag about 19) is located within several arcsec of Itagaki's position in the USNO-B1.0 catalogue (position end figures 50.427s, 39.95"). Itagaki has posted his confirmation image at website URL http://www.k-itagaki.jp/images/pnv.jpg. Additional information and images may be found in CBET 2731. Time-series observations of this object are encouraged to search for superhumps and to better understand its nature, and to follow any subsequent evolution of the outburst. Time-series observers should strike the best balance between signal-to-noise and short exposures. Unfiltered observations are acceptable, but the use of a V filter is encouraged if it does not significantly increase exposure times to reach comparable signal-to-noise. Visual observations are also encouraged. Please submit observations to the AAVSO International Database using the name PNV J21095047+1348396.